This great guitar is a store demo item because of a few minor flaws which you can see in the last four photos, and the case had some rough spots as well. Other than that it looks and plays great! 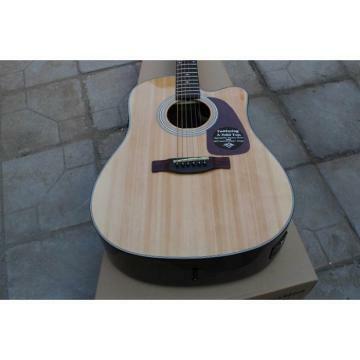 We are selling this great guitar for more than 20% off of regular street price! NOTE: The flaw at the sound hole is a crack in the wood. AS A WINTER 2013 SPECIAL WE NOW HAVE IT PRICED AT A NEW LOWER PRICE SO WE CAN MOVE IT OUT !